The weather in Naples is amazing year round. Average temperature highs are at 90 degrees in July with average winter lows hitting 54, with an average year round temperature of 74 degrees. It allows residents to enjoy the great outdoors all year long in a community that embraces the luxuries of an outdoor lifestyle. There are zero days with snow and on average, 264 days a year with sunshine. This compares favorably to the U.S. average of 200 days of sunshine. Naples is home to some of the finest beaches in the nation. The Naples Pier is a great go-to spot for sightseeing and relaxation. Vanderbilt Beach Park is perfectly located, with easy access to many high-end restaurants, hotels, and shopping. For the nature lover, Clam Pass Beach Park boasts some of the best views of marine and beach wildlife in the area. And Lowdermilk Beach Park offers a volleyball court and picnic area for a lazy afternoon of family fun. These are just a few of the many beautiful beaches with a variety of activities Naples has to offer. Naples claims to be "the golf capital of the world" and even the Golf Channel agrees that the city makes a strong case. You can find numerous golf clubs in the area. One example is the Naples Grande Golf Club, which lies adjacent to Moorings Park Grande Lake. Surrounded by beautiful lakes, this golf club is home to stunning panoramic scenery. Whether you're a true golf aficionado or a weekend warrior, you'll never run out of immaculate, professional-grade courses to play in and around Naples. No matter what type of cuisine you enjoy, Naples has you covered. It features some amazing restaurants including a variety of styles and flavors. For delicious, locally-prepared seafood, Sea Salt is a great choice. For an award-winning steakhouse, dine at The Grill inside the Ritz-Carlton Beach Resort. Or for fine-dining, French cuisine and perfectly paired wines, check out Bleu Province. Simply put, you'll never run out of great options for dining experiences in Naples. Naples has no shortage of great shopping locations, either. Waterside Shops offers a more upscale shopping experience, with designer brand names such as Gucci, Louis Vuitton, and Saks Fifth Avenue. Other notable shopping areas in Naples include the famed Fifth Avenue and Third Street shopping districts with a unique blend of national brands, as well as local boutiques, art galleries and more. Mercato, in North Naples, features a delightful mix of shops including Nordstrom Rack and numerous restaurants. Naples has a thriving arts community. You can see Clyde Butcher's beautiful nature photography in his Big Cypress Gallery at the Big Cypress National Preserve. The Harmon-Meek Gallery and the Shaw Gallery on Fifth Avenue South offer a more diverse set of artistic pieces available. The Baker Museum is one of the top fine-art museums in all of Southwest Florida, showcasing contemporary art. Artis-Naples also hosts a variety of performances and events, including orchestral performances, plays, musicals, live comedy, and more. 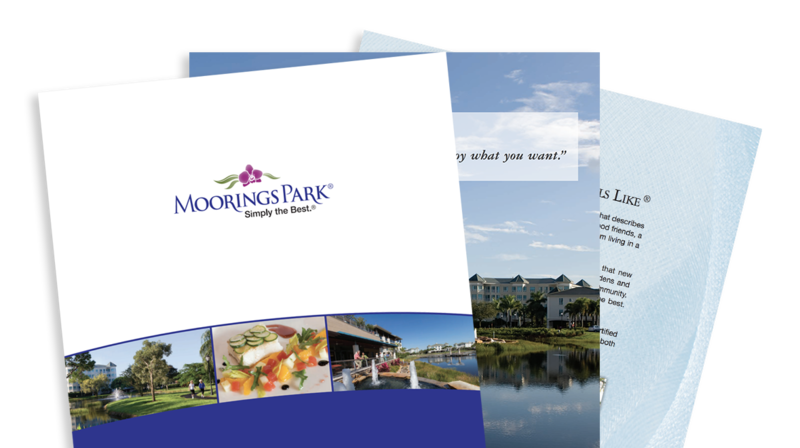 Moorings Park is a premier retirement community in Southwest Florida. 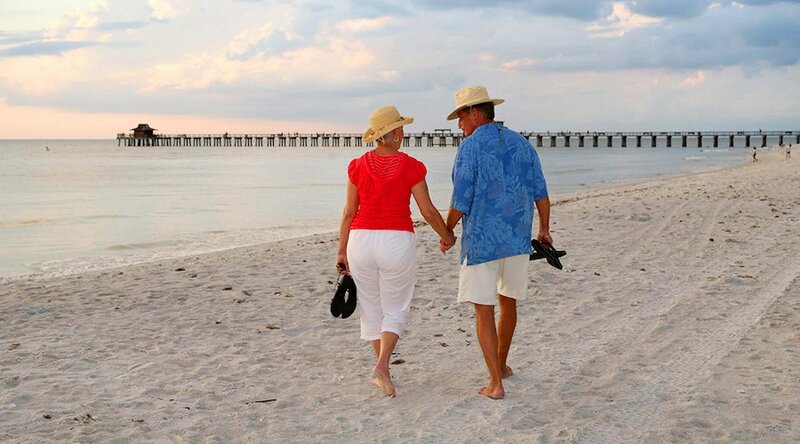 We offer the perfect place for our over 700 residents to explore all the wonderful features Naples has to offer. Our affiliate community Moorings Park at Grey Oaks added over 200 residents, while our planned Moorings Park Grande Lake community will share its great location and amenities to an even greater number of retirees seeking ample recreational, social and spiritual opportunities. All three Moorings Park communities - Moorings Park’s original campus, Moorings Park at Gray Oaks, and Moorings Park Grande Lake - offer an array of amenities to our residents. We offer unrivaled access to upscale and casual dining, comprehensive physician services, state-of-the-art fitness centers, and engaging social activities. It's the place to live in the best city to retire! For more information on our communities, contact us today!